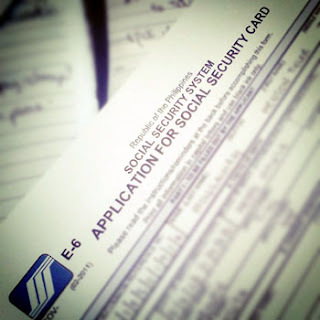 One of the grown-up things I did recently was to apply for the new SSS card! 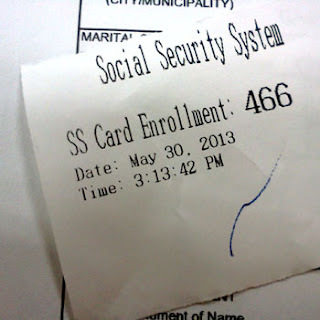 While I have an SSS number, I've never had a card. I hear that it'll be like an all-in-one valid ID. If you have an SSS # and you're a regular contributor, you're eligible to apply. Why not, right? It's free! Applying was easy. Lines can get a bit long at the main branch, though. I finished in 2.5 hours. 1. Fill out form. Download here! 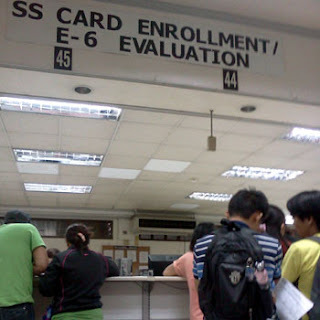 You may get a copy of the E-6 form in SSS. Read instructions! Don't forget your valid ID and no need to have it photocopied. 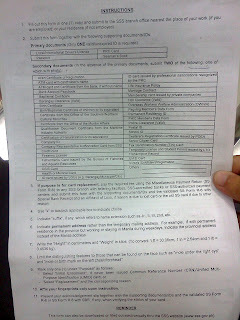 I noticed that the back portion of the hard copy is different from e-form. Go through this for additional instructions and reminders. Click to enlarge. It's hi-res. 2. Get a number at information counter. They were serving #380 when I got there. 3. Enrollment / Evaluation. When your number is called, the SSS officer processes your form. People were called in groups of fives. 4. Picture taking, fingerprinting, signing, and confirming of billing address. 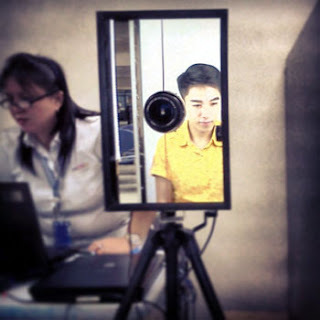 Selfie at a government office. Super lovin' the ID picture station! Let the waiting game begin! Sorry for the late reply. Must have overlooked your comment. I finally got my card today! What about you?